Over the weekend, my husband and I traveled to Highlands, North Carolina for a refreshing change of scenery. There we stayed at Half Mile Farm, a country inn and sister property of Old Edwards Inn, that is situated on Apple Lake just outside of the Blue Ridge Parkway. 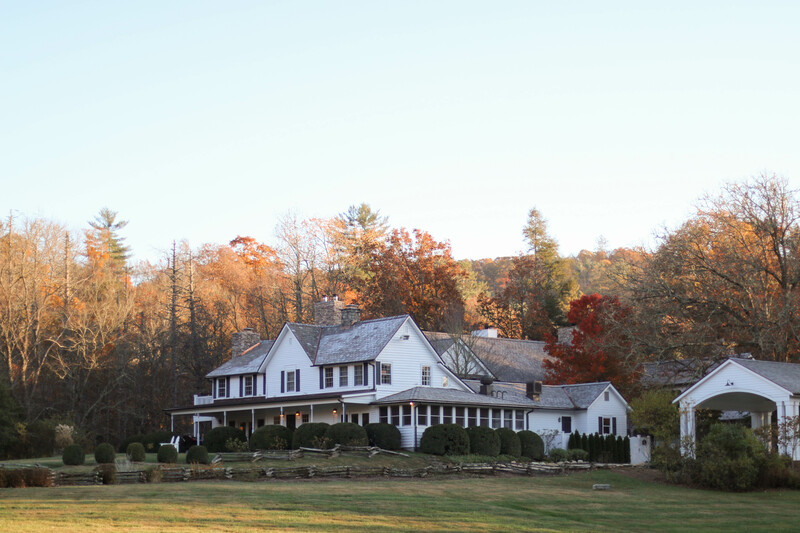 The inn was as sweet and charming as it looks, and offered a variety of fun activities like canoeing, fishing, and well manicured hikes around the property. We opted to take the slower, longer route from Charlotte to the Highlands in hopes that it would be more scenic. It didn’t disappoint! 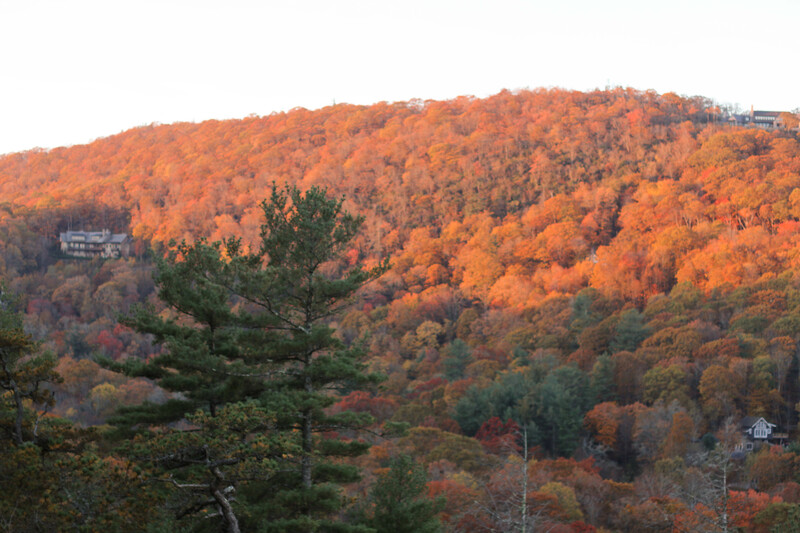 Much to our surprise, we were welcomed with a great deal of Fall foliage. The weather in North Carolina has been very dry and warmer than usual, which has delayed things. After speaking with locals we learned that the skies were the clearest they had been in months, so the sun helped illuminate the red, yellow and orange colors of the trees making them appear all the more vibrant. Prior to leaving for the Highlands I stumbled upon an amazing sale at J.Crew. 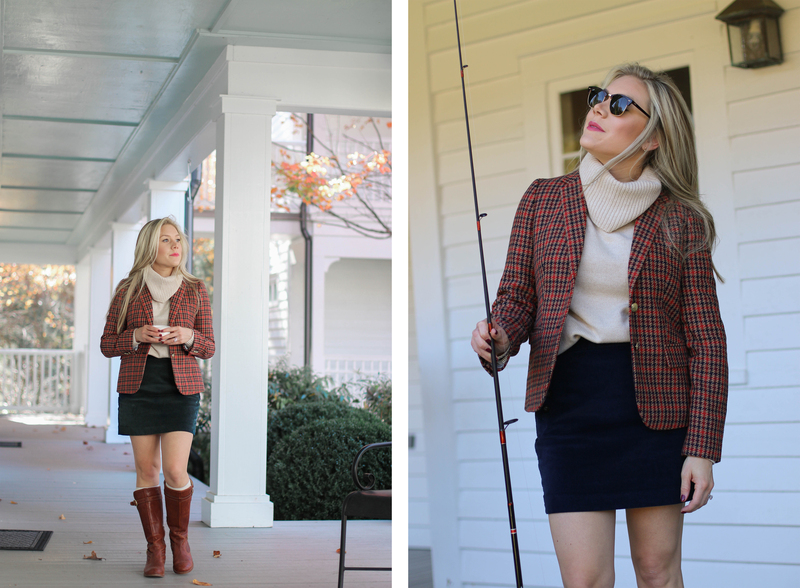 There I purchased this sweater (currently on sale), this skirt (currently $40), and this blazer. During the Fall months, when the weather fluctuates throughout the day, I love having layered pieces to put on and take off. 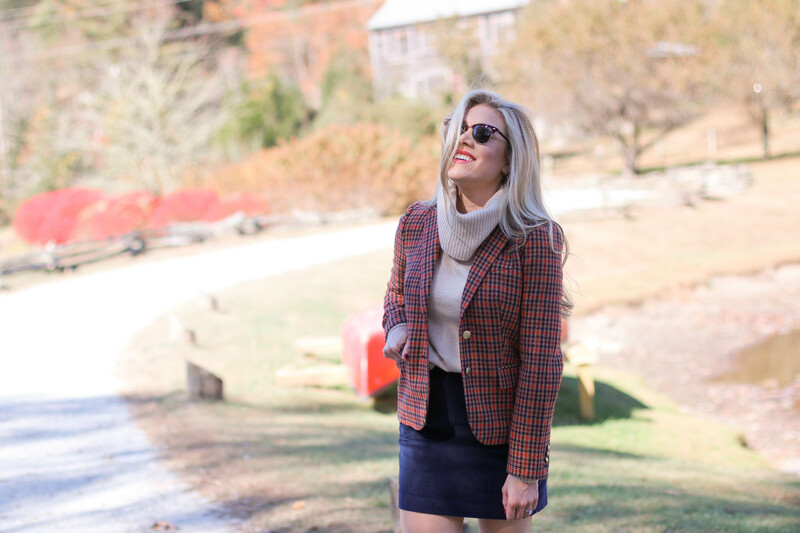 This plaid blazer from J.Crew came in handy while strolling the shaded streets of downtown. 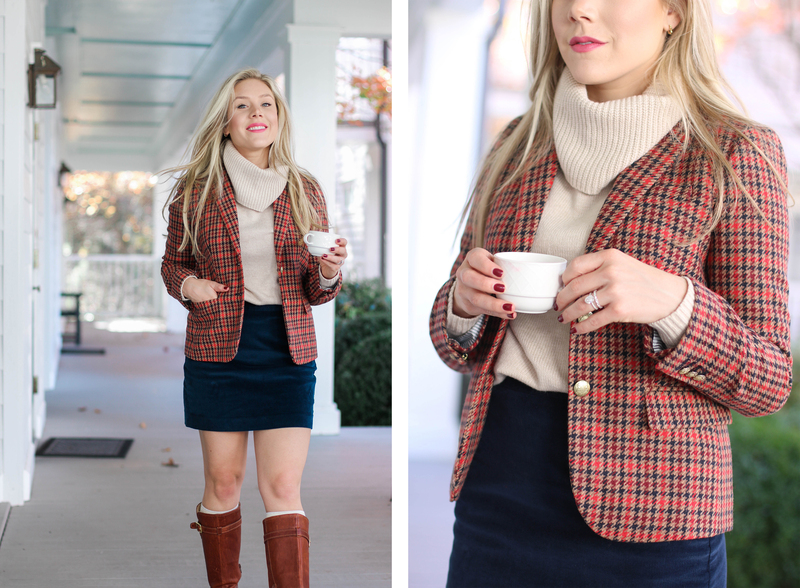 What I love most about this outfit is how equestrian and yet proper it is for Fall. 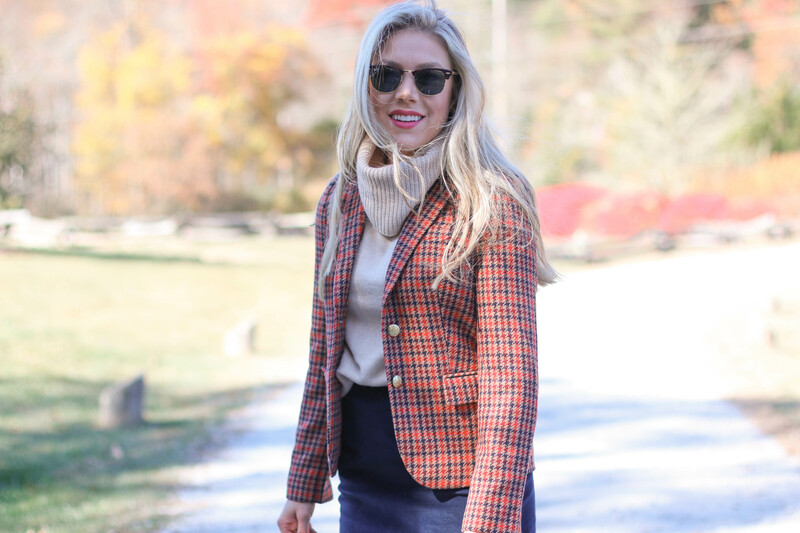 As most of you know, I love tailored pieces and could easily transition this outfit into Winter by pairing it with skinny jeans a large camel coat and OTK boots. Doubling up on outerwear was a huge trend on the runway. It’s chic and also adds texture to an outfit. I highly encourage you to consider purchasing this neutral sweater! 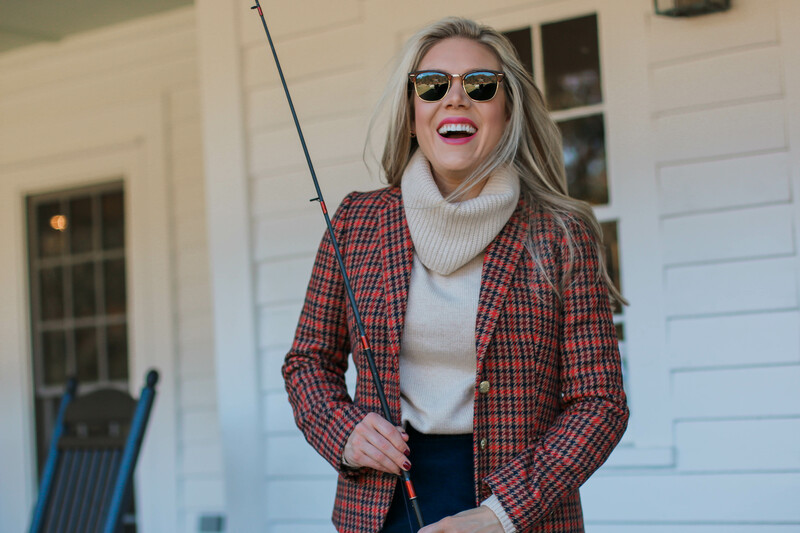 It will pair well with a variety of pieces this season. I love it so much that I purchased it in a few other colors.